As I have previously posted, we deal with depression in our home -- not just "ho, hum" bummed out kind of depression -- but a serious, debilitating disease called major depressive disorder. My husband had been battling this disorder before Peter was diagnosed, but certainly the stress of having to provide and care for a child with an expensive and life-threatening condition has worsened it. I feel like we are in "depression recovery" right now (thanks to medication and therapy), there are still periods of extreme melancholy where his depression does the talking like tonight: "I wish I had cancer and could die and leave this all behind." These depressive periods usually last only about 3 or 4 days, but they are tough on everyone. At this time, I often feel a need to search out more education and support. It's helpful to remind myself that yes, this is a disease; it's not something to be ashamed of, and I'm not alone. I really enjoyed watching this video from Stanford University tonight. In it, Dr. Robert Sapolsky explains both the biology and psychological roots of major depression in an interesting and often humorous way. If you have someone in your family or a friend who deals with depression, please take a look. I think you will appreciate this as I have. We are so excited summer is finally here! Of course, we are looking forward to all the great activities we have planned. 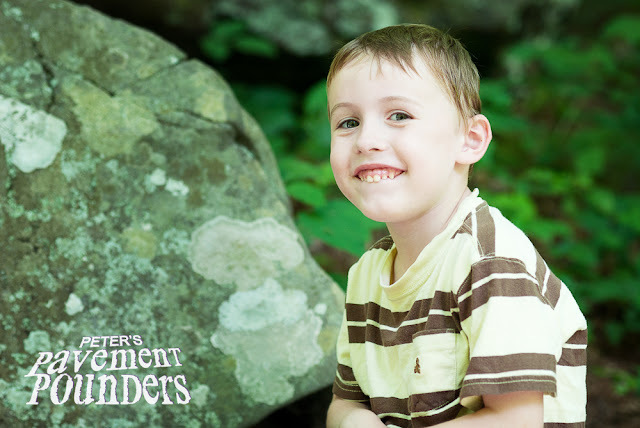 But summer is always better for Peter health-wise: less allergies, less exposure to sickness, more outdoor playtime, etc. Right now, he's really having a hard time breathing through his nose and the swelling in the sinuses has cause a an inverted eardrum, so his ENT has put him on a daily dose of Flonase to help ease the pressure. He sounds like a mini-Darth Vader when he's really struggling. Poor little guy! I hope this summer, we'll get back to a healthier state for Peter. I remember when Peter was younger, I really struggled with what kind of activities to expose him to, especially if there were going to be crowds, smokers, too much heat, etc. Now, I'm not so nervous. We just are smart about bringing a stroller in case Peter gets too tired. We also pack extra water, snacks, applesauce and enzymes, sunblock, and a hat. I also don't mind going up to smokers and asking them to smoke elsewhere. (They are usually very nice about it). I try to have as normal a life as possible with Peter, and my summer bucket list is one way I'm trying to do that. Here it is! 2. Lots of play dates and park dates! 15. Visit friends we haven't seen in a while! Today, we went to Amicalola Falls as a whole family since Jacob had the day off of work. (Two items on my summer bucket list!) 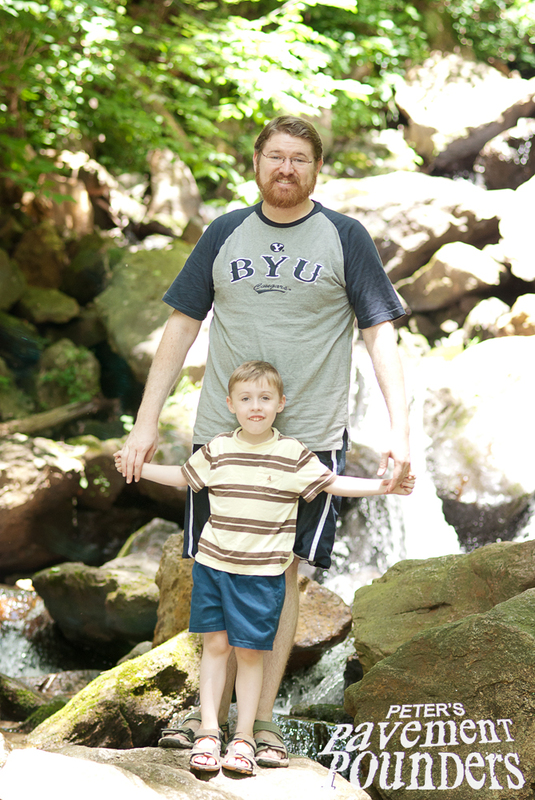 We only hiked up to the bottom of the falls, but boy, it was a climb. Jacob was a trooper and pushed Peter in the stroller. Then, Peter got out and ran up and up, and then up and up the stairs to the top. I am so proud of him! Afterwards, he got an ice cream to replenish all the lost calories from the hike. Now that's the CF way! 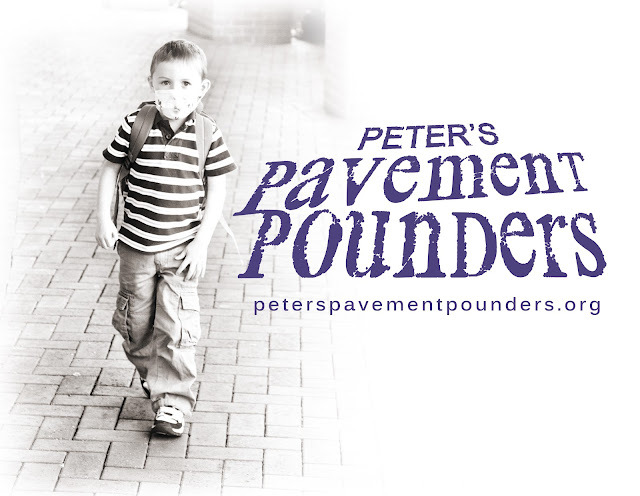 Wear Purple for Peter: Walk Weekend! It's walk weekend for us! 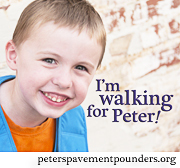 The Altanta, Portland, Fort Worth/Arlington, and Mobile teams are walking for Peter! We are so excited. If you haven't registered and want to walk with us, join a team here. If you would like to support us, choose a walker to sponsor here. Whether you are walking, donating, or simply showing support, please wear "Purple for Peter" either Friday, Saturday, or Sunday and then upload a picture to the Peter's Pavement Pounders wall on Facebook. A shirt, a scarf, a hat, or a ribbon . . . anything will do! Show your support for Peter and cystic fibrosis awareness. On Facebook, you can change your profile picture to something purple! Then tag your picture with Marchet Butler, Jacob Butler, or Peter's Pavement Pounders. 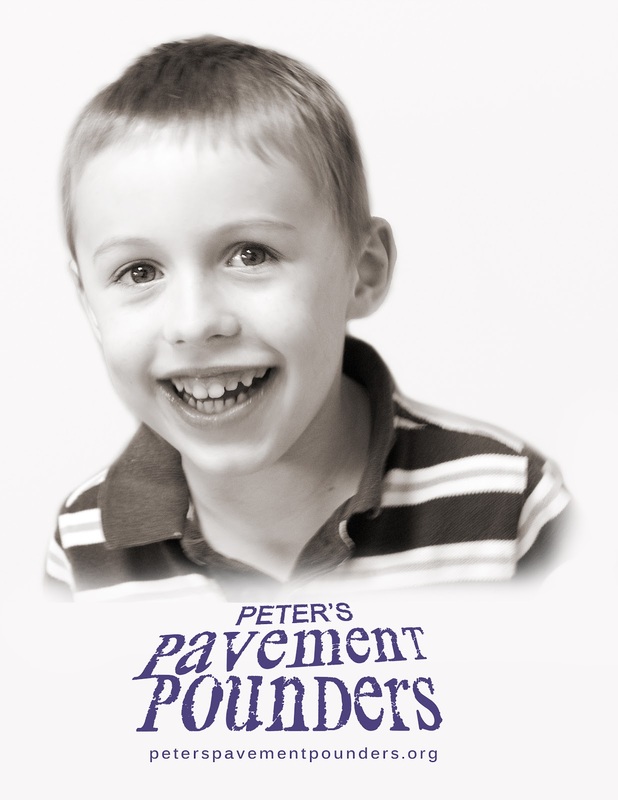 Oh, and if you aren't a fan of Peter's Pavement Pounders on Facebook, give it a "like"! Here are some images I put together for walkers to print out for their walks. 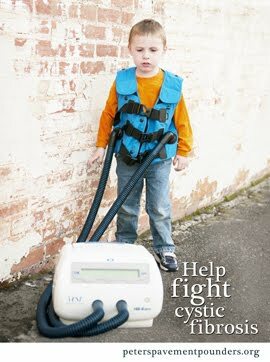 If you haven't signed up for the 2012 Great Strides in your area, do it now. 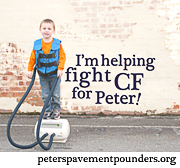 We'd love to have you represent Peter and our family as we fight for a cure for CF. If you can't donate, but want to support us, please donate. Any amount is welcome.